Following exceedingly unpopular moves by China and India, the European Commission has now proposed to tighten controls on cash and precious metals — going so far as to allow confiscations of gold and assets — of anyone even believed to be associated with terrorism or terrorists. These confiscations and strictures around personal wealth would be part of the European Union’s “action plan against terrorist financing,” proposed following the terrorist attacks on Paris in November 2015 — except the impetus to apply the measures came when a truck plowed through a bustling Christmas market in Berlin on December 19, killing 12 people and injuring scores more. It appears the Commission surreptitiously proposed tighter controls on cash and precious metals after the market attack but in just before the holidays — possibly to avoid an acrimonious backlash. “Authorities will also be able to seize cash or precious metals carried by suspect individuals entering the EU. Officials from the European Union claimed terrorists executed recent attacks with small budgets sometimes financed by ‘criminal organizations’ located elsewhere — thus the perfect justification to restrict cash and precious metals presented itself with the attack in Berlin. But the Commission didn’t stop there. Also proposed are common rules among the 28 member nations to freeze “terrorists’ financial resources” — and confiscating the financial assets of anyone even thought to be associated with criminals. But the European Commission’s plans get even darker from there, because — despite the ostensible targeting of terrorists and criminals — its proposals leave innocent citizens at risk of being unjustly accused and losing significant personal wealth. To wit, anyone who wishes to make a payment of €150.00 [$156.85] or more using a prepaid card will be forced to show identification in order to complete the transaction. Another proposal proffered in this putative fight against terrorism criminalizes money laundering for the first time — particularly in regard to virtual currency — and the EU will study whether bitcoin should be more strictly regulated. Note the undertones in these proposals say nothing of first identifying individual criminals or terrorist cells, and proceeding to address only their finances — rather, the proposals cover everyone, all citizens — intimating the true targets are the assets of ordinary Europeans, whether intentionally or as a casualty of the repressive measures. While any one of this group of proposals would make advocates of personal liberty cringe, every one of the 28 member nations has backed the plan — it now awaits approval from the European Parliament. “In the future, all EU member states will recognize the seizure of terrorists’ assets or the freezing of accounts in every EU country,” asserted EU Justice Commissioner Vera Jourova, according to Deutsche-Welle. Overbearing and unusually restrictive, it hasn’t been made clear by any officials whether the proposed measures would be effective at shutting down terrorist networks — or even preventing a single attack. 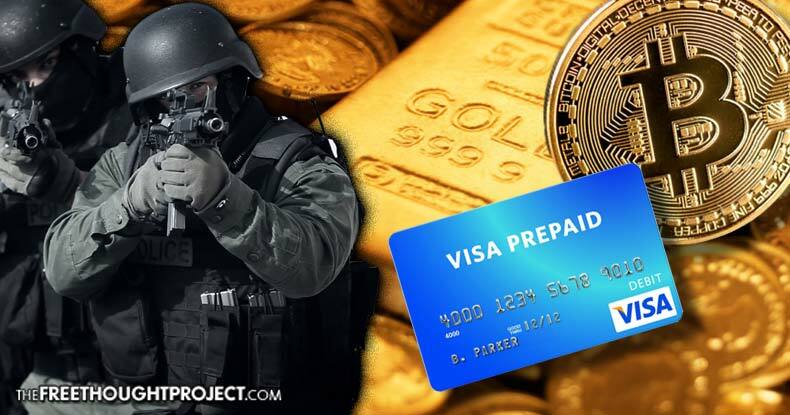 Yet gold, precious metals, cash, bitcoin, prepaid cards over basically $150, and bank accounts, particularly if you are unusually wealthy, could now be seized by the State at a moment’s notice and without warning — if the government has so much as an inkling you’re up to no good.